It’s been a while since our last blog and a lot has happened in the last few months of 2018. One of the highlights at of last year was recording Lynda Hayes and Steve Stapley singing one of Steve's beautiful songs for a documentary pilot about musicians. They were accompanied by Adam Hayes and Galen Stapley making it a family affair. Drew Mills joined the clan on keys as well as presenting the documentary. All five of them are stunning musicians and I don’t say that lightly. The video below is from the show and you can see how effortless and graceful their performances are. The pilot is all about Lynda's career in the music business. You may not recognize Lynda but you’ve heard her I’m sure, she’s the voice of the classic Toys R’ Us advert as well as the voice (voices?) of Pepsi and Shirley on the Wham! Recordings. Her voice has sold more products world wide than you can imagine. The theme tune for the show was also recorded at the Palace. It was written by Andy Nichol and Drew Mills. If you're interested the players are Martyn Hope on guitar, James Compton on keys, Drew on guitar, Andy on bass and Jon Harris on drums (more about Jon below) with Lynda adding a blast at the end. We also took the time to record a demo of one of Andy's new guitars made to his spec by Gordon Smith guitars. Once more Andy dragged Martyn Hope (Shakin Stevens' guitarist and musical director) into the studio to give the guitar a proper workout alongside one of our favourite drummers (and tea drinkers) Ric Bonito. Incidentally Martyn is also using a hand wired amp built by Abbot Amplifiers which sounds fantastic. Thanks to Doug and Rob at Gordon Smith for the great guitar. 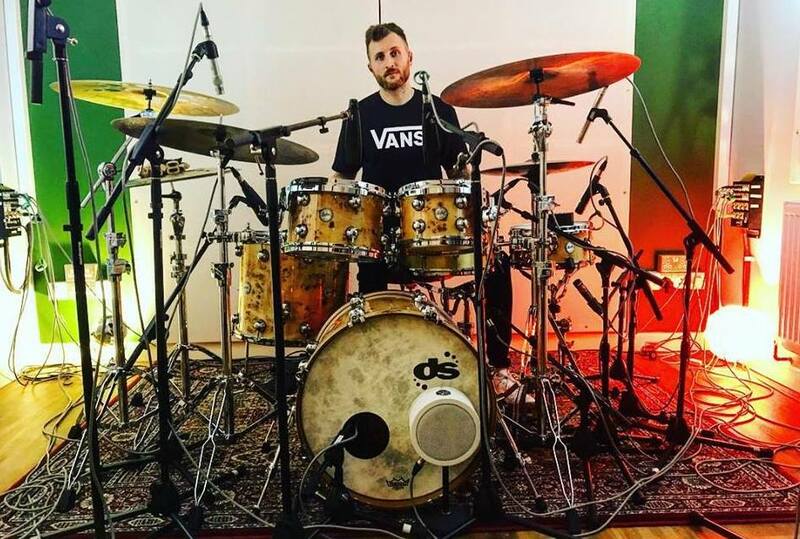 Jon Harris, who played on the theme tune above, is endorsed by Italian drum company DS drums and at another session we had the privilege of being the first studio to record Jon at the DS kit. The combination of Jon’s sublime playing, the quality of the kit and Jon’s intuitive understanding of tuning drums made the recording an absolute pleasure. Jon has worked with various artists including Frankie Goes To Hollywood, Odyssey, Roachford, and Guy Chambers. We're looking forward to a return visit from Jon in a couple of weeks with one of his own bands. Just this week We’ve completed the production of five energetic, classic sounding rhythm and blues tracks for The Yellow Dog Blues Band. It was great fun tracking them and a joy to work with Steve, Alan, Chris, Kevin and the two Pauls. The guys will be making the tracks available very soon. Oh... and we've added a vintage Neumann U87pb from 1974 to the mic locker. Thanks to Adam Crowe at Funky Junk for finding that for us.